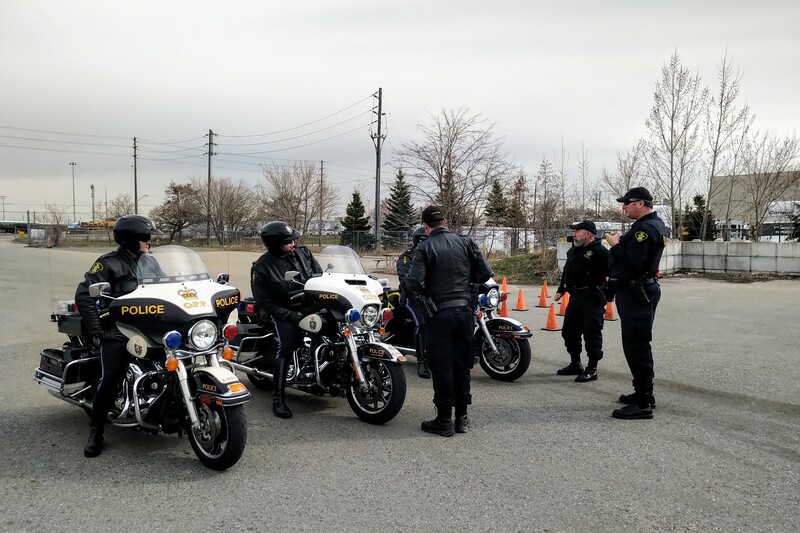 The OPP are gearing up for motorcycle season by holding refresher training for their officers while also sharing safety information with the public. OPP motorcycle instructors and patrol officers gathered at a snow melting yard in Toronto for a refresher training program to get ready for the season on April 16. 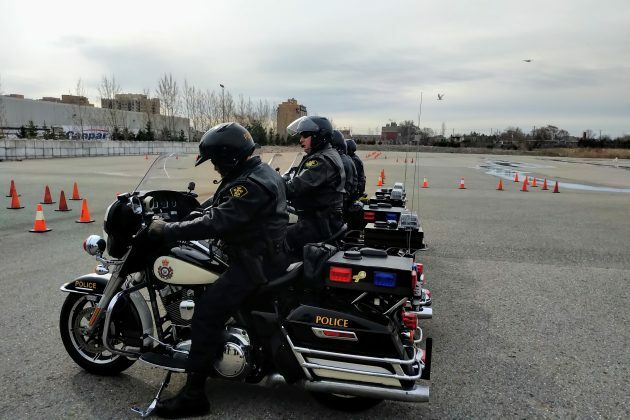 All OPP motorcycle riders are required to take annual refresher courses to improve their skills on the roads. 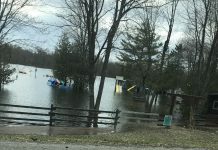 The OPP wants to remind drivers to be aware of the increased number of bicycles, motorcycles and all-terrain vehicles (ATVs) that will be sharing the roadway and to take extra precautions while operating their vehicle on a highway. Drivers can help keep the roads safe by remembering to slow down, leave extra space between vehicles and allow extra travel time for getting to their destination, according to the OPP. Police also recommend that motorcycle operators take time to brush up their riding skills before heading out. Last year, 34 people were killed on OPP patrolled road in incidents involving motorcycles. 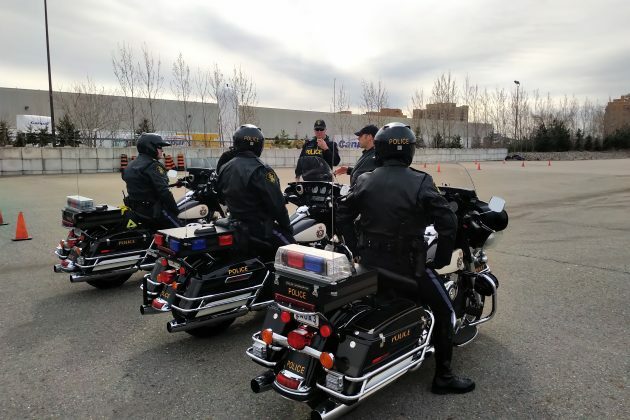 So far this year, one person was killed on Hwy 416 in the Ottawa area on April 6 and another person was hurt while riding a motorcycle in Quinte West on March 26. 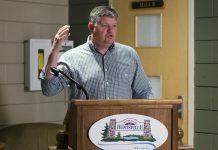 Potter urges motorcyclists to take steps to make themselves visible and to make sure they practice their skills before returning to the road. 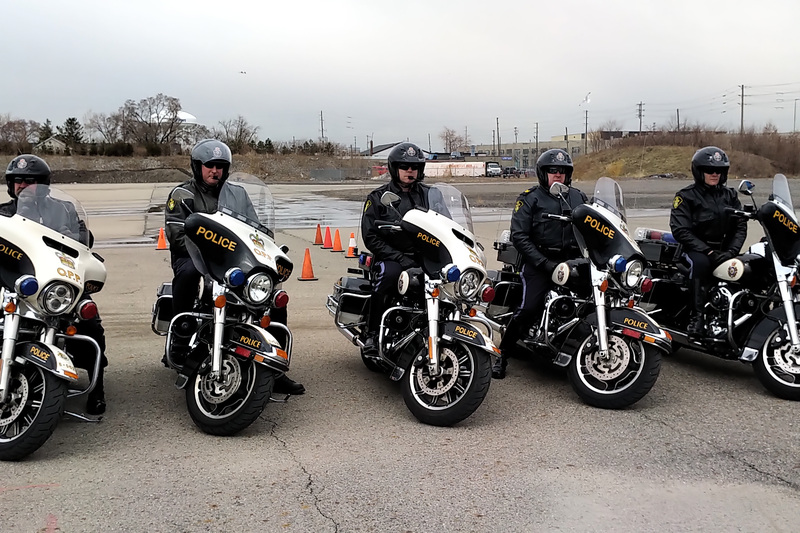 See photos and a video from the refresher training below along with tips from the OPP for motorists and motorcyclists. Provincial Motorcycle Coordinator Sergeant Paul Potter talks about motorcyle safety and OPP training as police bring out their motorcycles for the spring season. Share the road with motorcycles – in almost half of all motorcycle collisions, the motorist is at fault, not the motorcyclist. 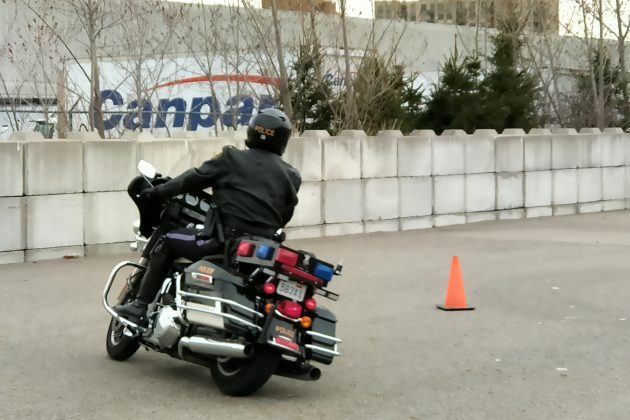 Motorists should always have a watchful eye out for motorcycles given how difficult they can be to see. Watch for motorcycles at intersections – over one third of motorcycle collisions are intersection related. Motorcyclists should not assume that other drivers can see them – drivers that have collided with motorcycles often say they did not see the motorcycle until it was too late. Be seen at intersections – as stated above, over one third of the motorcycle collisions are intersection related. Always ride at a speed appropriate for the road and weather conditions, as speeding and loss of control are major causes of motorcycle collisions.